18,139 Miniatures Ready for Purchase Today! Date Added: 04/16/2018 by Rachelle Y.
I was very impressed with the details and all working drawers! 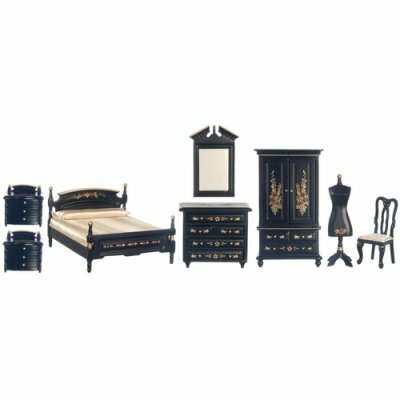 This Black Bedroom Set 8pc is supplied by Handley House Miniatures, which generally ships within 8 business day(s) of you placing your order .